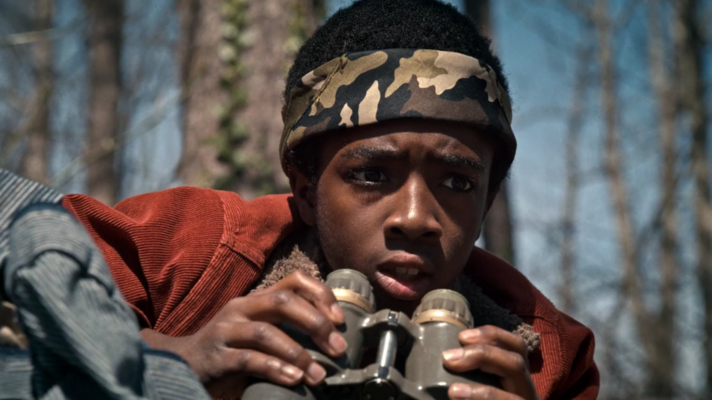 Stranger Things just returned for Season 2, and while it’s probably safe to assume that the kids of Hawkins will have their hands full with monsters and alternate dimensions, they’re still middle school students who would benefit by squeezing a book or two into their busy Demogorgon-slaying schedules. Here are a few (modern) suggestions for each character, just in case the Upside Down happens to have a library. Roller Girl by Victoria Jamieson – Considering how rough Eleven’s life has been, she’d probably enjoy the escapism of this graphic novel about roller derby, friendship, and struggling to fit in. Keeper of the Lost Cities by Shannon Messenger – Eleven would probably see a lot of herself in Sophie, the heroine of this story, as Sophie struggles to come to terms with magical abilities like telekenesis, and is pulled into different worlds against her will, ultimately choosing to surround herself with friends who become like family. Sticks and Stones by Abby Cooper – While Eleven has to deal with the things people whisper about her behind her back, the protagonist of this story has to learn to cope with the words people say about her manifesting physically on her body. Considering how little Eleven herself speaks, she would probably appreciate this tale of kindness, acceptance, the power of words. Fablehaven by Brandon Mull – As Will recovers from being dragged into the Upside Down against his will, he may find a mirror in this tale of two siblings who find themselves pulled into a magical world, and are forced to face their fears and stand up against evil in order to save the people they care about. The Kane Chronicles by Rick Riordan – Another sibling story, Will may relate to Carter, one of the two main characters in The Kane Chronicles, who, despite being reluctant to step up and take on any sort of leadership role, learns under pressure that he is stronger than he knew, and finds the confidence to embrace his own individuality. One Came Home by Amy Timberlake – While it’s possible that this one may hit too close to home, there may be something cathartic for Will in this tale of a girl searching for the sister everyone else believes is dead. Perhaps it will bring him solace to see the other side of his own story, and know how hard his own sibling, along with his friends and mother, were looking for him. The Adventurers Guild by Zack Loren Clark and Nick Eliopulos – Considering the effort he puts into planning his own Dungeons & Dragons games with his friends, Mike will surely enjoy this tale of a magical guild of heroic friends tasked with fighting monsters from other worlds. The Riverman by Aaron Starmer – After surviving their own battle against the Demogorgon, Mike may enjoy reading this tale of another group of kids who find a portal to another world and decide to band together to defeat the evil creature that lives there. The Marvels by Brian Selznick – As Dungeon Master, Mike is a natural storyteller, so he would probably relate to this tale of two boys separated by nearly a hundred years, and connected through ghosts, intrigue, and the power of a good story. The Iron Trial by Holly Black and Cassandra Clare – The comic relief of the group, Dustin would probably relate to the irreverent sense of humor of Callum, the hero of The Iron Trial. 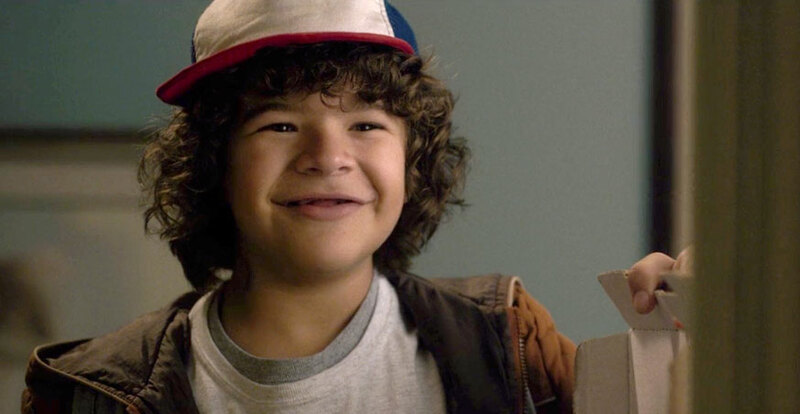 Dustin may also appreciate a protagonist who knows what it’s like to be physically different from his peers, and who may be reluctant to rush toward danger, but will do it if he knows it’s right. Bone by Jeff Smith – This weird, silly graphic novel about three boys lost in a strange and sprawling land will appeal both to Dustin’s sense of humor, and his love of fantasy. Considering how much Dustin values his friendships, he is sure to enjoy the hilarious adventures of the Bone cousins as they meet up with a mysterious girl (which might sound a little familiar) and work together to survive. Hawkeye: My Life as a Weapon by Matt Fraction – It’s hard to know what part of Matt Fraction’s Hawkeye Dustin will relate to more: Clint Barton’s grudging heroism, his wry sense of humor, or Lucky the Pizza Dog. Miles Morales: Spider-Man by Jason Reynolds – The most cautious member of the Hawkins gang, Lucas could use this story of a boy like him, who tries to be heroic but questions if that’s really what he’s supposed to be doing. While Miles and Lucas face different sorts of problems, Lucas will surely relate to Miles’ internal struggle and sense of responsibility, and will hopefully be inspired by his choices. Runaways by Brian K. Vaughan – While Lucas is definitely a reluctant hero, he has always been a loyal friend, which is one of the central themes of Runaways, about a group of teens on the run from their villainous parents. Although Lucas may not experience the parental struggles of the characters in Runaways, he will definitely relate to the bond that forms between the kids, and the sense of family that comes with it. The Dark Phoenix Saga by Chris Claremont – It’s established in the first episode of Stranger Things that both Will and Dustin are familiar with The Dark Phoenix Saga, but Lucas – the member of the post-Will trio least sympathetic to Eleven – could probably use another look at the story of the how the X-Men cope when the telekenetic Jean Grey becomes so powerful that she threatens to destroy them all. 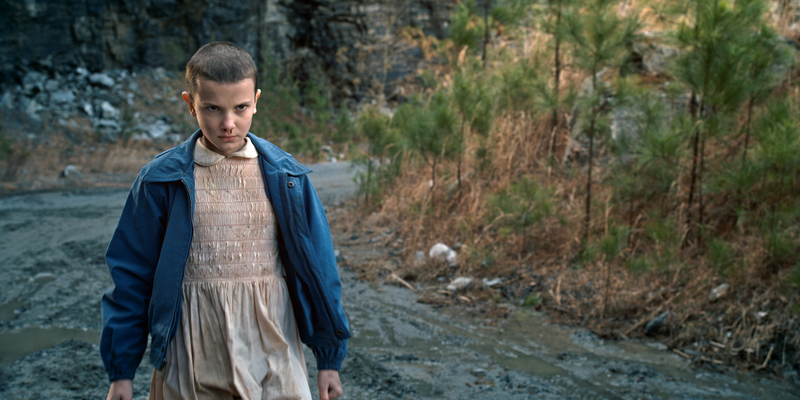 True, he may still find himself nervous about Eleven’s abilities, but hopefully he’ll also come away with a hefty dose of empathy for her unique predicament.